I don’t know if this is going to become a series, but with most people this week staring down a fridge full of leftovers, it seemed the thing to do. 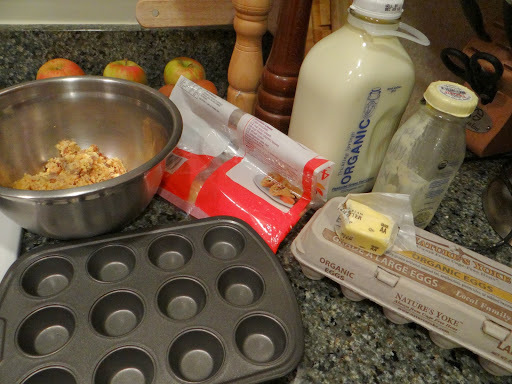 These aren’t really muffins. Sorry if the title is misleading. 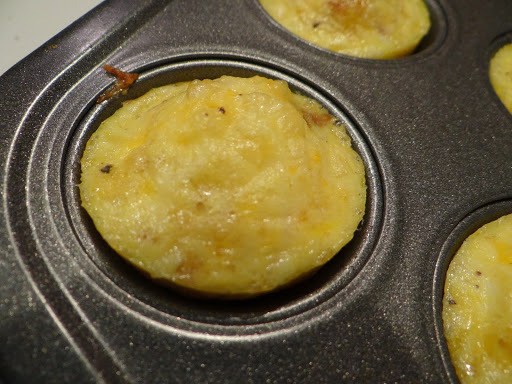 Technically they are mini frittatas, since they are mostly bound by eggs. They are delicious though, which is the important thing. I made them because I had a ton of crumbly cornbread stuffing made by my brother that wasn’t going to eat itself. 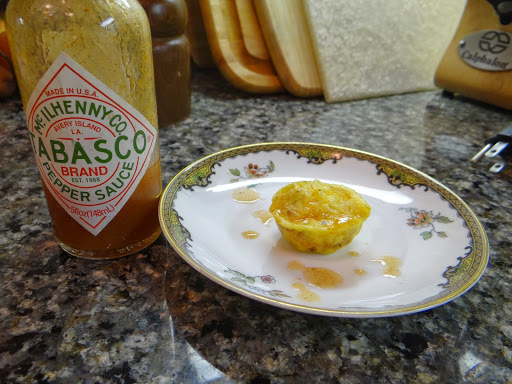 This recipe is loosely based on one by Heather at Kitchen Concoctions. I made them mini instead of regular-sized, used cornbread stuffing instead of regular stuffing, and skipped the spinach since I didn’t have any on hand. 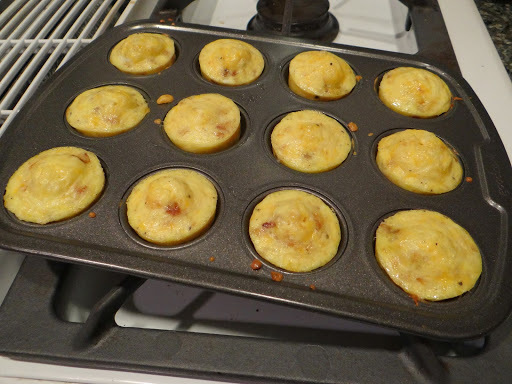 My motivation for making these as mini muffins (mini frittatas, sorry) was two-fold. 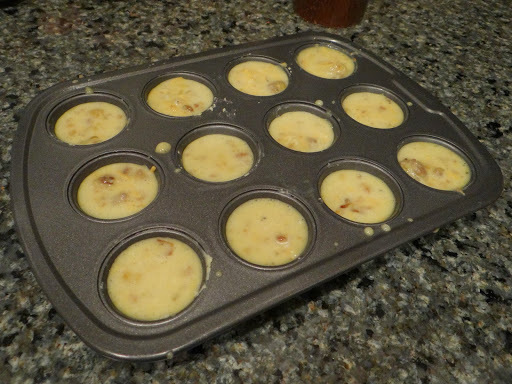 First, I wanted to use my new mini muffin pan which was an impulse buy at Harris Teeter last week. Second, I am always on the lookout for breakfast foods Little Bread Toddler might like. 2. 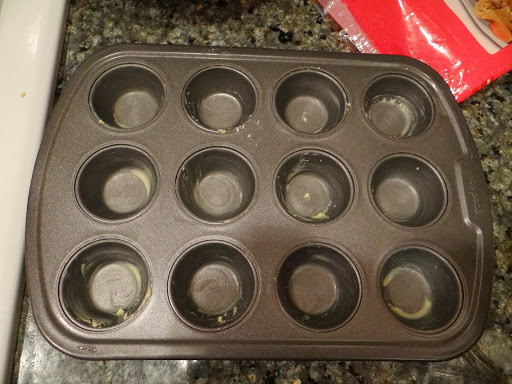 Grease up your muffin pan using the butter or cooking spray. 3. 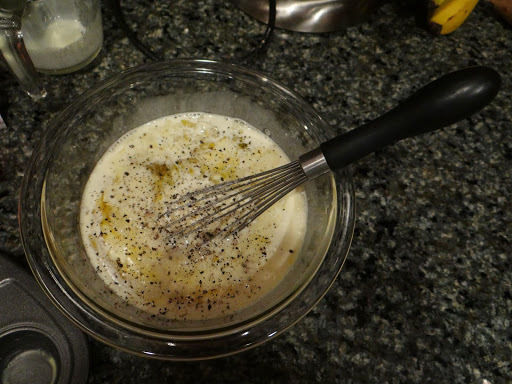 Mix together your eggs and cream/milk. Add the salt and pepper. 4. 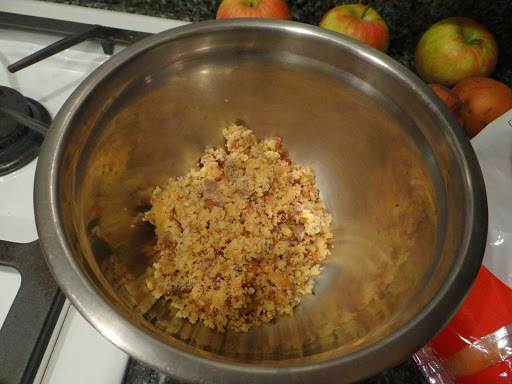 Pour over the stuffing and mix to combine. 5. Now add the cheese. 6. 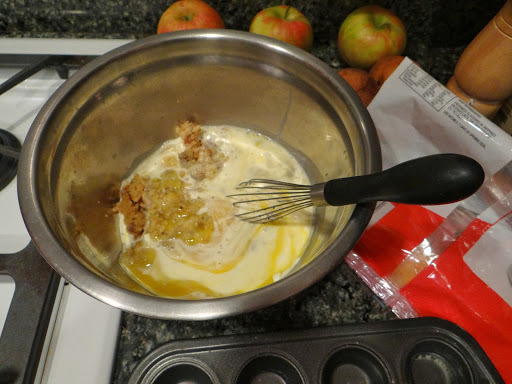 Pour the batter into the muffin pan until each cup is about 3/4 full. 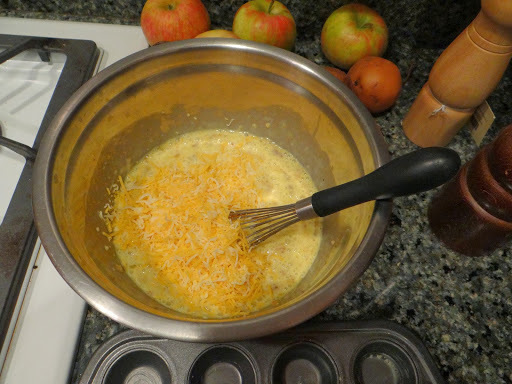 I had too much batter so I had to make a few regular-sized frittatas too. 7. 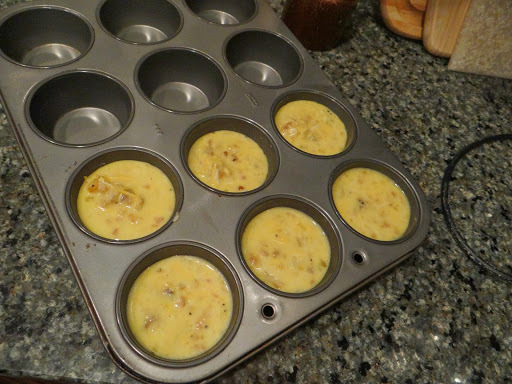 Bake in the oven for about 10 minutes for mini muffins or 12-15 minutes for regular sized, until the muffins start to pull away from the edges of the pan. 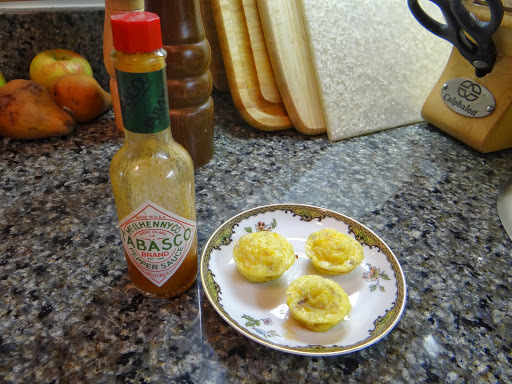 I like them drizzled with tabasco sauce. It just seemed fitting with the eggs and cornbread. Little Bread Toddler liked them with ketchup. 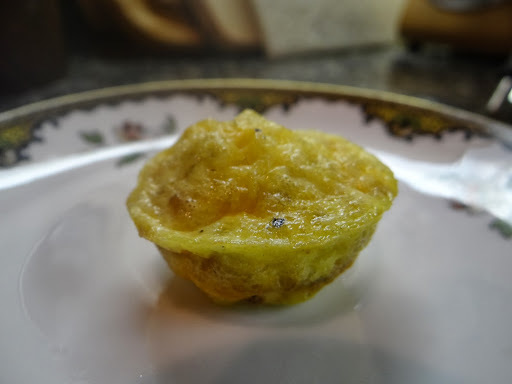 I think these mini frittatas were a hit! We don’t have very many left but I’ll definitely be making them again. I think they would be good as appetizers too. 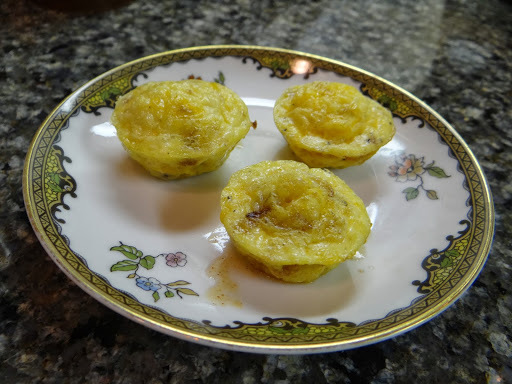 I hope this post has inspired you to think of new ways to use your leftovers. Yesterday I made my first batch of Marie Callender’s cornbread mix that i got from Mollie Stone’s Market in Palo Alto Cali. I must say, I was very impressed by it’s fluffiness. Who knew cornbread could be this fluffy? I was so impressed that I visited their website http://www.mccornbread.com. I am planning a dinner party next month and Roasted Turkey is on my menu so I will definitely try a cornbread stuffing instead of the usual bread crumbs. You know, switch things up a bit.